I realized much to my amusement that I was a scant 13 books shy of cracking the 1K mark on my To Read list, and so I did what any rabidly voracious reader ought to do in such situations: I called upon the Intarwebs for recs to push me up over the line! So now, as of this writing, I have a grand total of 1,002 books on the To Read list. And here are some amusing stats about them! I actually own only 652 of these, and of those, 445 of them are ebooks, 119 are mass market paperbacks, 74 are trade paperbacks, 13 are hardcovers, and one is an ARC. Note also that there will be a slight margin for error here as a small number of authors are people I buy in multiple formats just because I love them and I CAN. Of the rest of the 1,002, most of those are books I plan to check out from the library since most of them are authors who are new to me or who I haven’t read in some time. Since the vast majority of my reading these days IS electronic, before I commit to buying a new author, I prefer to test ’em out with library checkouts. Happily, our two local library systems are ebook-friendly, so I’ve been well able to do that! For the curious, I track this ridiculous number of books on Goodreads, and my Goodreads shelves are publicly readable. You can see ’em all right over here, which will load you my entire list. My individual specific shelves are listed down the side of the page. And if you’re a Goodreads user, feel free to friend me there! AND since this is of course a book roundup post, let’s get my 2012 acquisitions started, shall we? Leaves of Flame, by Benjamin Tate. 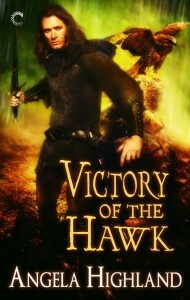 Fantasy, Book 2 of his current Well of Sorrows series. I very much liked Book 1 and am looking forward to reading this. Unveiled, Unclaimed, Unlocked, and Unraveled, all by Courtney Milan. Historical romance, her Turner series to date, all starring various brothers of the Turner family. I checked out the first two of these from the library as aforementioned, liked them quite a bit, and have now put Milan onto my list of authors I will in fact buy directly. And this puts me at 5 thus far for the year! It has been suggested to me by the whomperjawed mizkit that I may need a new book buying moratorium. She’s probably right. I will in fact be laying off buying further ebooks at least until the end of the month–I want to get past my birthday–and that should give me time to dip back down under the 1K mark. It’d be amusing if I could actually read as many books as I buy this year.